The Ministry of Security and Justice is exploring the introduction of new technology through the innovation programme ‘Satellite applications for Security and Justice’. 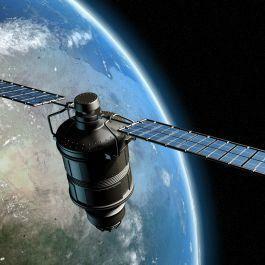 The possibility to address its challenges with satellite technology. The goal is to procure innovative products and services based on satellite technology which will support the Ministry with its responsibilities and tasks. Ten cases have been identified bottom-up, from practicioners in the field, and explored in a triple helix cooperation with knowledge institutions and with The Hague Security Delta (HSD) as programme partner. The Ministry of Security and Justice will be investing 400.000 € and offers finance possibilities (see below). The goal of this programme is to gain insight into the implementation of new technology within the Ministry of Security and Justice as well as gaining insight into the innovation related purchase processes. This innovation programme started during the so called Technology Café, in September of 2015, where businesses, knowledge institutions and government envisioned the prospectives of the satellite data technology. At the start of 2016 the Ministry organised 5 moderated brainstorm sessions. As a result of these brainstorm sessions 10 cases were identified which could possibly result in future innovative applications of space technologies. For each case a consortium has been formed by governmental stakeholders. In June 2016 a 'technical dialogue' was held, discussing each case with the support of knowledge institutions. At the end of October 2016 the Ministry organised an open and non-commital marketconsultation at the HSD. What are the Ten Cases? With this programme The Ministry of Security and Justice wants to explore the possibilities for innovative solutions for these 10 cases. Aim: A user-friendly instrument which automatically collects satellite information from various sources, presents that information to users quickly and clearly, and integrates the information seamlessly into the existing crisis management system. At the very least, the satellite information should include an easy access to images of certain locations at certain times (past and present). Aim: A user-friendly instrument that, in the run-up to annual national events, periodically provides an up-to-date and detailed picture of the area where the event is being held, including any changes. Aim: A user-friendly instrument that can be used to quickly scan large areas for substantial changes to the surface (volume, soil type, height/depth and specific pollution. Aim: A user-friendly instrument that can be used to scan large and/or selected areas quickly and automatically for compact changes to the surface. Detecting a buried body, hidden money or an underground drugs laboratory. Aim: A user-friendly instrument that automatically sends alerts, either for the entire territory of the Netherlands (including waterways, excluding the Caribbean parts of the Kingdom) or for large selected areas, in the event of suspected illegal dumping, complete with an indication of what the nature of that waste may be. Dumping of drug waste in nature reserves. Aim: A user-friendly instrument which allows targeted, round-the-clock early detection of fires in less accessible areas and which helps prevent uncontrollable wildfires by enabling us to learn from satellite imagery data collected before, during and after a wildfire. Aim: A user-friendly instrument that can be used to measure the size, composition, development, and movement of emissions of (hazardous) substances (smoke, gas and radioactive material) quickly, with great accuracy and on a 24/7 basis. Aim: A user-friendly instrument which provides satellite data that can be used to determine the region of origin of foreign nationals (who often have no identity documents). A foreign national claims that no river runs through the village where he was born and raised, but satellite images do show a river. Aim: A user-friendly instrument that uses 3D visualisation of various environments to show satellite images and information from other sources in augmented reality, allowing the viewer to experience the spatial environment of the application in question (e.g. with the help of a virtual reality headset), with extra information projected onto the field of view. Visualising information from different sources this way allows the viewer/user to gain a good impression of the scene and make decisions. Public prosecutors, the National Police, the fire brigade and special investigation services can get a better sense of the layout of a crime scene and the events that occurred there (both before and after the incident). Aim: A user-friendly instrument that can ‘mark’ an object for a satellite so that the satellite will track the object if it moves and provide data on that movement in real time, possibly combined with images and other data, in a user-friendly environment. An observation team can track an object (car, motorbike or container truck carrying a suspect or contraband) without risk. At this moment in time there are three concrete follow-up trajectories defined: two SBIR's related to the subjects Large-scale earth-moving and Wildfires for which the Ministry of Security and Justice will be investing 400.000 € offers finance possibilities as innovation project. These SBIR's were presented during the Innovation Congres of the Ministry of Security and Justice on November 22nd of 2016. A third trajectory involves students of Delft University of Technology (10 students who will work out cases in 10 weeks) related to smoke and gas detection and the marking of objects and subjects. Besides this programme managers are currently also working on other possible follow-up trajectories in cooperation with the Ministry of Defence and NLR and international collaboration. Read more about the funding here.